with a touch of feminine. 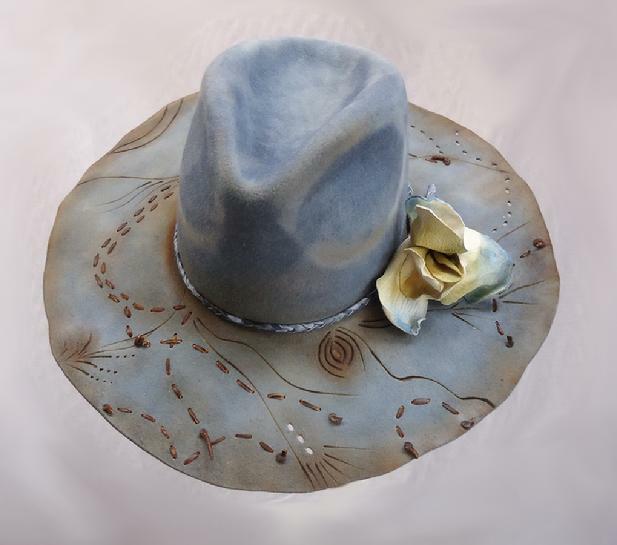 leather rose embellishment, hand made, lined in brocade, 100 x beaver hat. Order in your size, delivery in 2 weeks.